Ultimation Directs D5600 automatic gate includes a Toshiba inverter driver motor and gearbox to give high efficiency during operation. This three phase system includes safety precautions as standard including safety edges, photocells, push to stop button and a beacon sounder. This ensures that our D5600 gate meets all of the required health and safety regulations. Length available up to 7 Meters depending on infill choices. Popular height include 2.4 meters. This gate is very popular for its customer personalisation settings including programmable opening time within the Siemens PLC. Single or dual loop detection devices are available to be installed prior to installation allowing vehicle detection. As with all our automatic gates, the D5600 is fully compatible with a large range of access control systems. Choose between keypad systems, finger print scanners, wireless key fobs, call audio/video intercom systems and many more. Various infills options are available to choose from including palisade, mesh, wooden etc. The D5800 is a heavy duty automatic gate that provides the ultimate security to preventing un-authorised personnel within your property. Ideal for high profile sites including industrial locations. Sizes are up to 12 Meters and 3.5 Meters Height. Infill designs are available to meet the customers requirements including palisade, mesh, wooden, decorative, etc. This gate is ran by a three phase inverter driven motor for high efficiency. If safety regulations is a concern, our gates fully meet all of the current rules and requirements. Included as standard in all of our automatic gates is a beacon sounder, push to stop button, photocells and safety edges. Our gates are fully programmable within the Siemens PLC allowing customisation such as setting when you would like the gate to open during busy periods. 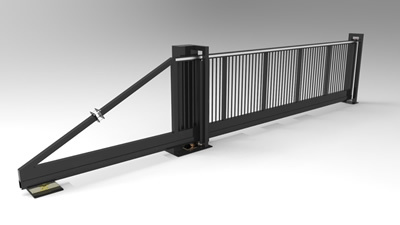 Ultimation Direct have designed and manufactured one of the only automatic bi folding gates on the market. 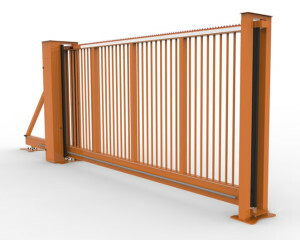 Built specifically for confined locations, these gates have the capabilities of giving twice the span in half the space when in open position. 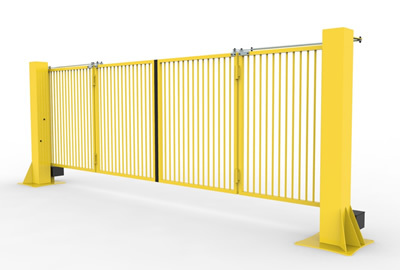 These high speed gates are ideal for locations that are looking for minimal possible opening times in order to prevent unauthorised access and tailgating. Two mechanically connected leaves swing together providing a larger speed of operation. Installed with BFT heavy duty drive systems that provide an almost silent operation including high reliability. Purposely designed to out perform existing systems on the market, these gates are suitable to fixing down onto concrete pads and are fully compatible with many access control systems. Manufactured using high end BS EN steel. Length spans include up to 8m (2 leaves at 4 meters) These gates meet or exceed all of the current safety regulations. Various infill options are available and various choice of colours to meet the customers requirements.